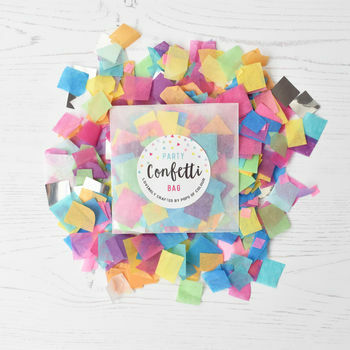 A bright and colourful blend of hand-cut tissue paper and metallic foil pieces in a small glassine envelope. 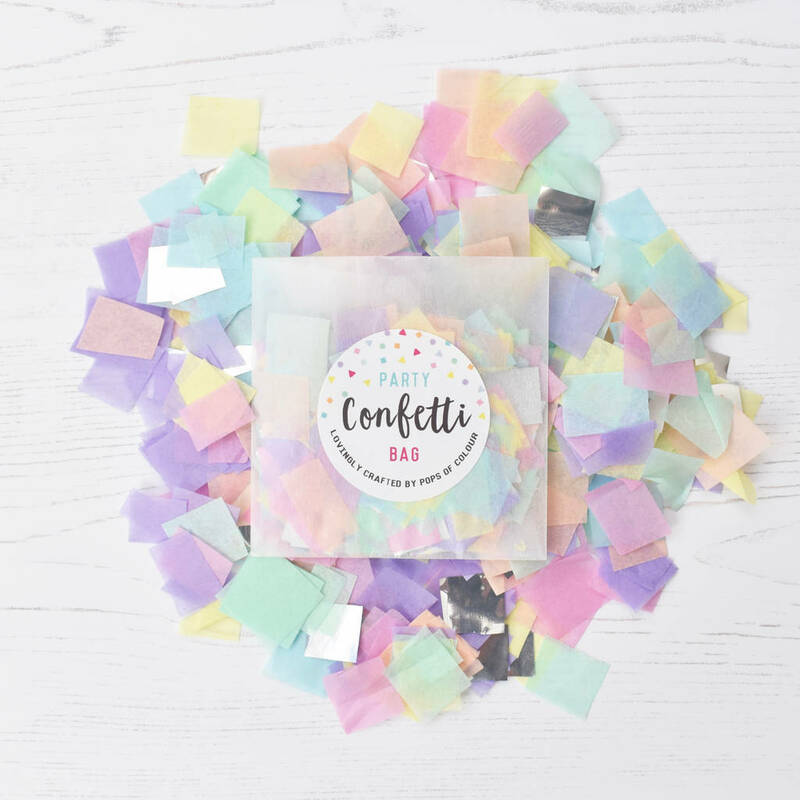 These little Party Confetti Bags are a fabulous addition to any celebration and gorgeous way to add a Pop of Colour! 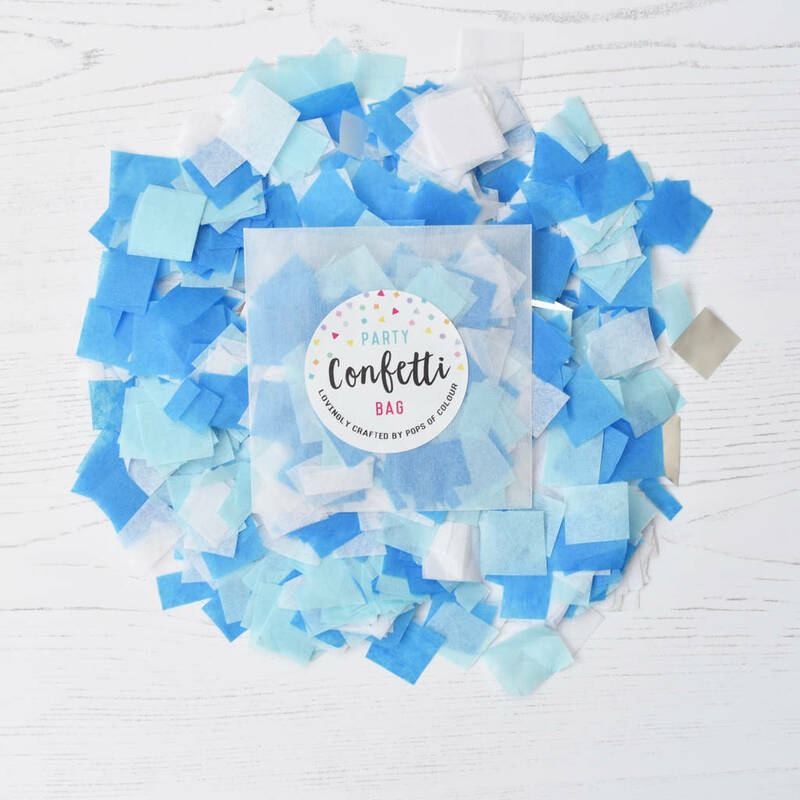 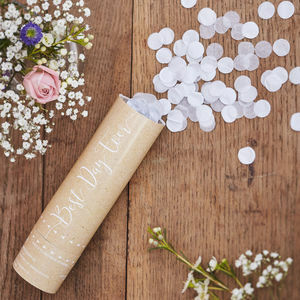 Toss it for a fun celebration, leave on guests chairs, tuck into envelopes for a memorable invite, or simply sprinkle it on tabletops at your next event. 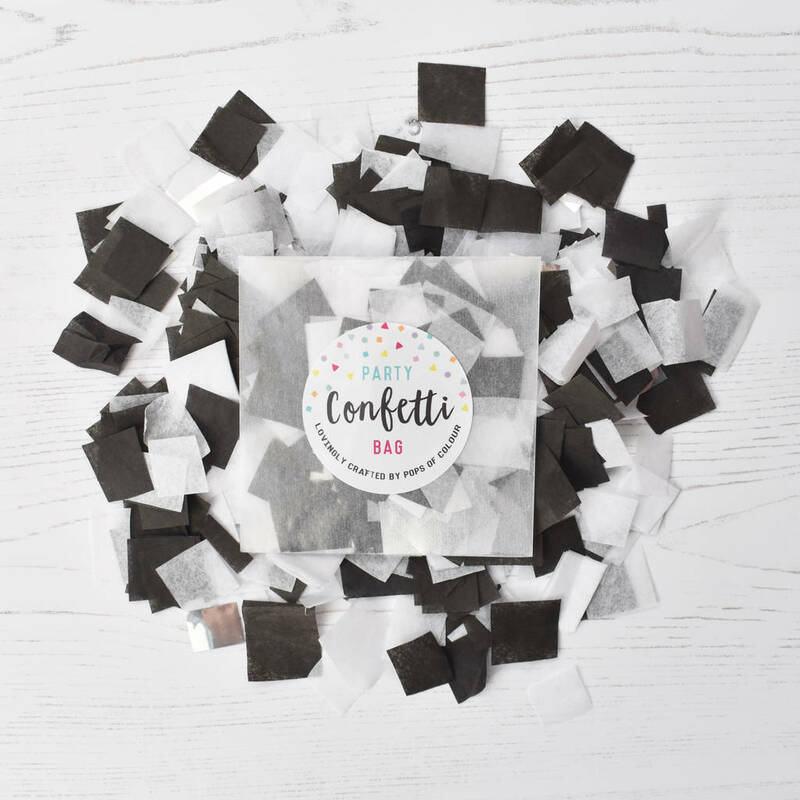 This is a single serving size and remember, a little goes a long way! There are five confetti colours to choose from - Rainbow Brights, Pretty Pastels Pinks, Blues or Black & White. 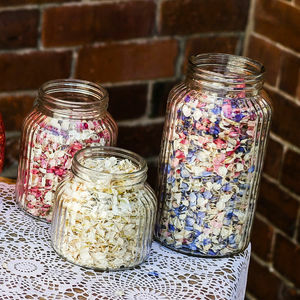 I do offer custom colours for an extra charge - please contact me via the 'ask seller a question' button for more information. 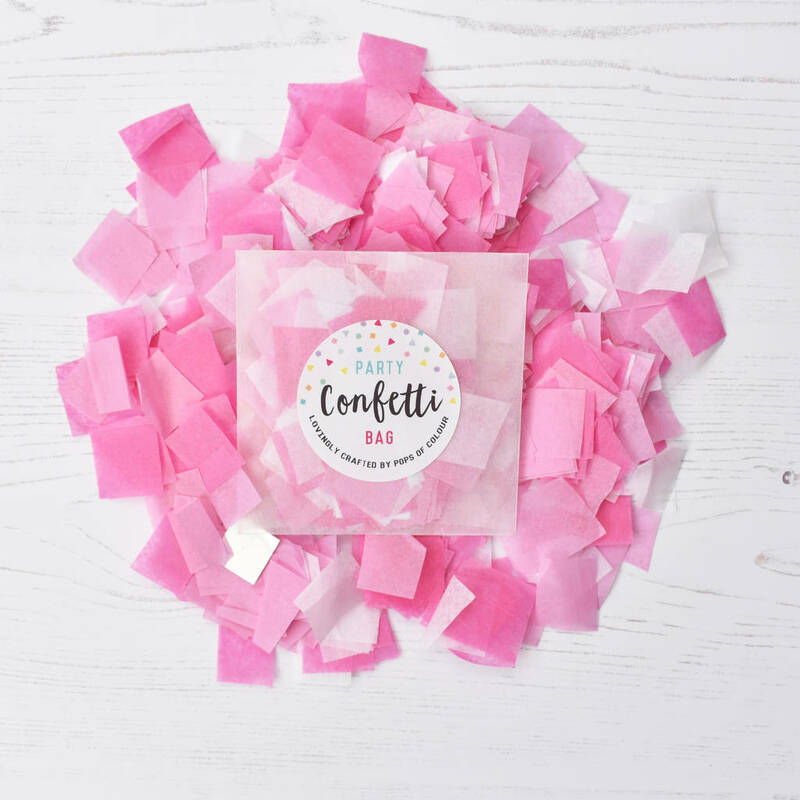 Square-cut tissue paper & metallic foil pieces, glassine envelope (the tissue paper used is possibly the most environmentally friendly tissue available with a high percentage of recycled pulp made up with sustainable virgin pulp and environmentally friendly soy based inks are used for printing). 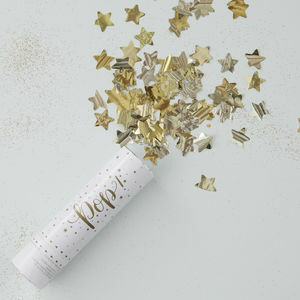 This product is dispatched to you by Pops of Colour.